Every day during the celebrations from 1:00-1:45pm in the STUDIO (upstairs). Book by email (miranda@mi-time.eu) or register in the Coffee Shop. 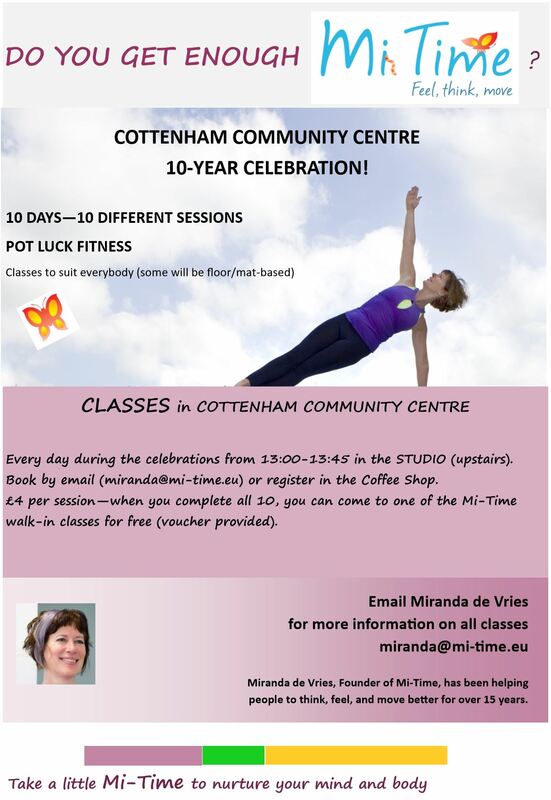 £4 per session — when you complete all 10, you can come to one of the Mi-Time walk-in classes for free (voucher provided). Part of our 10th anniversary, 10-day celebration.